But Parrott’s musical range is broader still. A former music director of both The London Mozart Players and the period-instrument New York Collegium, he has in recent years recorded in Slovakia (both 19th-century and contemporary Slovak music) and in Sweden (Beethoven’s complete piano and orchestral works, with Ronald Brautigam). For Toronto’s Opera Atelier Parrott has conducted seven productions (Lully, Gluck, Mozart). Contemporary music has always been an important part of Parrott’s work and for several years he was an assistant to Sir Michael Tippett. 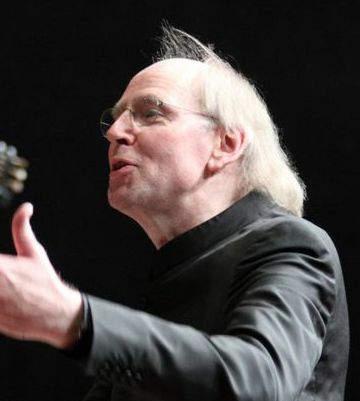 He conducted the premiere of Judith Weir’s A Night at the Chinese Opera (which he has also recorded for NMC with the Scottish Chamber Orchestra) and has made CDs of new music by other British composers (including John Tavener), by Vladimír Godár (with the Slovak Philharmonic Orchestra) and by Arvo Pärt. He conducted the première of Nick Bicât's Perpetua at Christ Church Cathedral, Oxford in November 2012 and will be conducting the première of Nick Bicât's Beslan in September 2014 .